Eva Cossée (1954) studied Dutch Language and Literature, Scandinavian Languages and Literature Science. She started working as Manager Pocketbooks at publishing house Bruna and as acquiring editor at publishing house Veen where she started translated fiction list. She became chief editor and later publisher at publishing house Contact and Publishing Director at publishing house Ambo|Anthos. In 2001 she decided to start her own publishing house and call it Cossee Publishers. As publisher she introduced authors like Salman Rushdie, Richard Powers, Michael Ignatieff, Milan Kundera, J.M. Coetzee, Bernhard Schlink and David Grossman to the Dutch readers. As editor she introduced Dutch authors like Geert Mak, Margriet de Moor, Midas Dekkers, Renate Dorrestein and Gerbrand Bakker to readers outside the Netherlands. 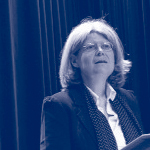 Besides running a publishing house she wrote for the Dutch opinion magazine Vrij Nederland, lectured at the School for Publishing and wrote various courses for the publishing branche. Christoph Buchwald (1951) studied History of Art, Literature and Experimental Composition in Berlin. He started his career in publishing as an editor at Claassen Verlag and worked thirteen years as an acquiring editor at Hanser Verlag. Here he published authors like Primo Levi, Milan Kundera, Lars Gustafsson, David Grossman, Per Olof Enquist, Harry Mulisch, Margriet de Moor and Michael Ondaatje. Then he became the publishing director of Luchterhand Verlag and later the publishing director of Suhrkamp Verlag. In 2001 he moved to the Netherlands to join Eva Cossï¿½e at the start of Cossee Publishers. Since 1979 he is the editor of the yearbook of German poetry called Jahrbuch der Lyrik. Every year a different poet has the privilege to be his co-editor at this annual project. 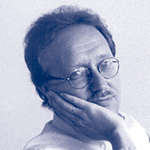 Other projects he has been involved in include the collected works of poet Walter Mehring (he edited and annotated the ten volumes) and the ultimate anthology of the seventies called Lesebuch der siebziger Jahre on which he co-operated with publisher (Suhrkamp Verlag and Fischer Verlag) and good friend Klaus Wagenbach. Furthermore he selected hundred poems from former East Germany in 100 Gedichte aus der DDR and his interviews with Harry Mulisch have been edited to a book called The Dog and the German Soul, Harry Mulisch in conversation with Christoph Buchwald. He is also a composer of film music and songs and he wrote the libretto for the opera Goldwasser which is composed by Jaap Hamburger.